ETX Capital is a London-based company that recently moved into the binary options market. It has a pedigree in spread betting and CFD trading, regulated by the Financial Conduct Authority (FCA). The company recently added binary options to its offering for traders. The company aims to stand out, with a number of benefits that, they say, competitors will find hard to beat. There is a stand-alone ETX Capital Binary platform, with its own login. If you have an account with the company for other asset trading, you will need a separate Binary platform login. The ETX Capital platform is closed for trading when the global markets are closed, and there are no virtual markets for trade through this platform. The trading platform is simple to use and includes the familiar choice of assets, such as Forex, Indices and Stock. There are extensive choices, with all the major FX options covered. Option lists are shorter, depending on which asset is selected, as not all markets are available for certain option types. 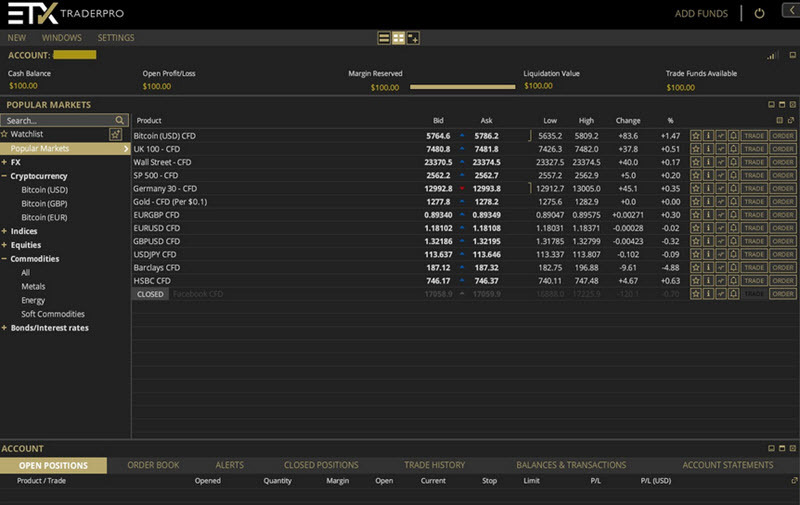 When an asset and option is selected, real-time updated prices will be displayed in the on-screen graph on the right. Stake levels are displayed above the graph, and there are preset buttons for quick trades. The Call and Put buttons are displayed clearly, and the strike price appears distinctively between these. A simple click on the “Invest” option gets the trade confirmed. The choice of assets and trading options on the Binary options platform puts ETX Capital up there with the very best brokers. The ETX brokerage is regulated by the FCA for their CFD and spread betting trades. These strict controls are applied to their withdrawal and deposit options. There is a minimum of £100 deposit required. Withdrawals are via the same methods and are processed quickly. The ETX Capital support team can be contacted via the UK telephone number or via email. The website has an FAQ section where most answers can be found. There is a section on payments, and a section to fully explain processing times and requirements. The excellent reputation that ETX Capital has gained from its FCA-regulated trading is a big draw for investors into their Binary options platform. The company operates this section using the same strict principles of regulation, with an aim for excellent customer support. ETX Capital has seen a rise in popularity among binary option traders, thanks to its excellent platform that provides great performance, whether using a web browser or via the mobile app. The quality of the product platform, and the superior customer service, make this a great company for binary option traders, whether experienced or new to the industry.